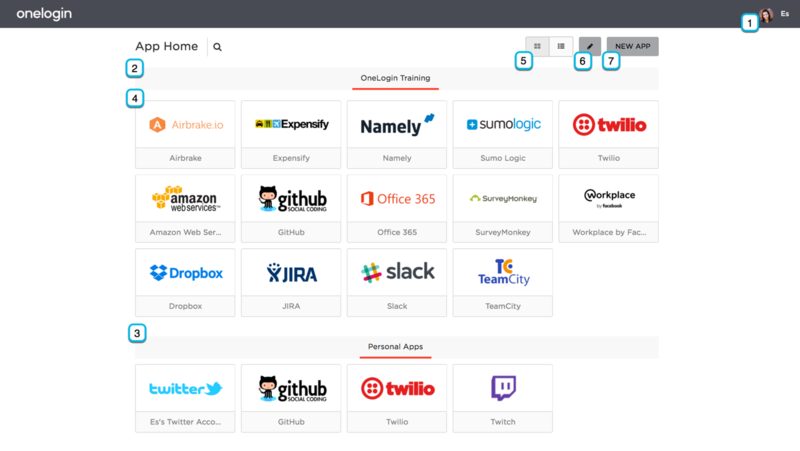 This guide is designed to familiarize you, the end user, with your OneLogin portal. The portal is simple to use and gives easy access to all of your personal and company web applications. User Menu - Here are the options that let you change how you log into and experience your portal. Profile - The Profile page where you will find your Name, Email Address, OpenID, and Password, which you have the option of changing. You can also choose whether apps are launched in the same window or a new window, and if all apps are shown on the portal page or in tabs. Administrative users will be able to show/hide their Event Stream and Connector Wizard. Security - The Security tab on the Profile page is where you can register and revoke registration for your authentication devices. Secure Notes - The Secure Notes page is where you can edit and read notes that are created by other users in your organization. You can create a New Note, or read from a list of notes created by other users. App Portal/Home - This will take you back to your Portal page. Logout - This will log you out of your account and return you to the login screen. Company Apps - These are applications that you have been given access to by your organization. They typically come pre-configured and SAML enabled for single sign-on access to your account. 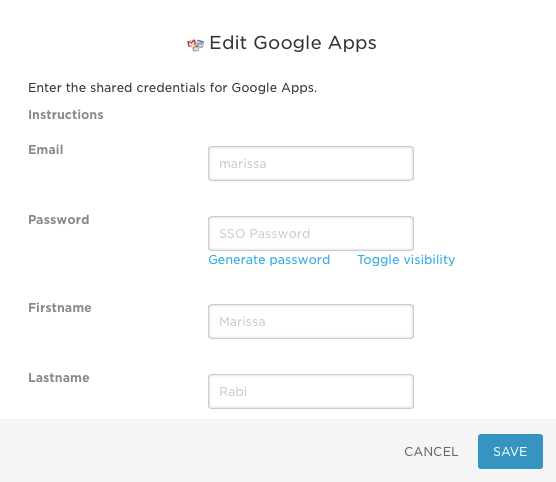 Some apps will be added as Forms-based, in which case you have the ability to edit its credential information. Personal Apps - These are applications that are added by you without requiring administrator approval. They typically include social media applications and anything not configured by your organization. Application Tile - This is an application tile. Selecting it will take you directly into the application without requiring a username or a password. App Views - This will allow you toggle how the app tiles are laid out: either in squares in Icon mode, or rectangles in List mode. App Credentials - This will allow you to edit the credential information for any personal app you have added, or any form-based application added by your organization. Add Application - This will allow you to add a personal application to your account. This app will be found under the Personal Apps section and will have its credentials be configured by you.